Giovanna Diaz is a Traditional witch as well as an active devotee of the Goddess Hekate. She has participated in numerous projects including the books Hekate: Antorcha en la Encrucijada by Lady Ayra Alseret, Hekate: La Luz que ilumina las Sombras and Guardiana de la magia. Currently working on a book of her own. 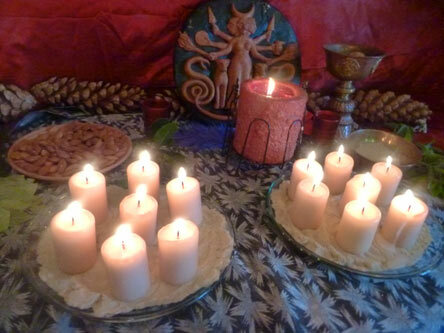 She facilitates the Sanctuary of Hekate Propylaia which has recently relocated to Tenerife, Spain where she imparts online workshops among other things. Ever since Hekate called upon her, she has dedicated her life to serve the Goddess in her sanctuary, with personal projects and her Cunning Arts.